Children and adults have always delighted in playing in the sand. 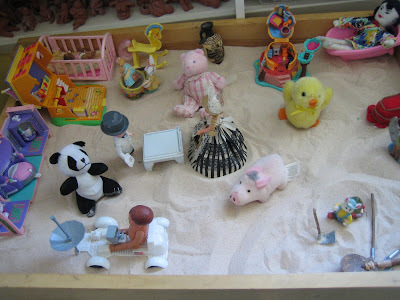 By using objects and creating scenes, stories and patterns in the sand, people can bring their inner and outer worlds together through imaginative play. Sand has been used for art making, rituals, and divination. Tibetan Buddhist monks spend weeks creating sand mandalas. 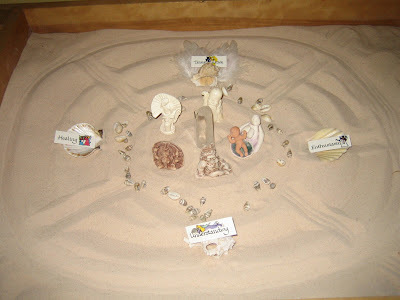 During a sandplay session the tray becomes a sacred space or space container for reframing, revisiting and releasing body sensations, emotions, and thoughts. 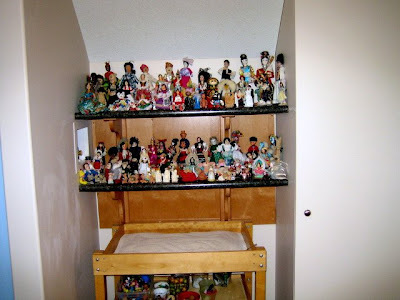 Through using miniature symbolic figures, clients can work out problems, get a new perceptive and feel closure to problems and issues. 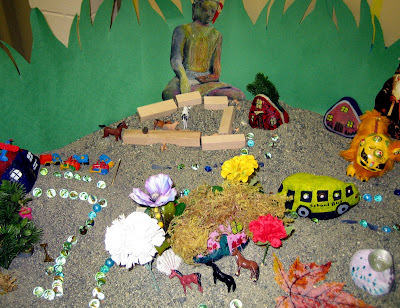 Sandtray along with other kinds of expressive art therapy, can help clients express the inexpressible. My office is equipped with an extensive collection of miniature objects. The client creates a world in the tray by making patterns in the sand or by placing objects into the sandtray in any configuration that feels right. Some clients dig, build, create mountains, valleys and villages. Some create stories, recall memories or envision futures. The meaning of the play emerges as the client experiences it and shares it. Unconscious and conscious personal material become co ncrete in a three dimensional form. The client has a picture of what they may not have had verbal language for. Without having to depend on words, clients can increase their capacity for expression through the tray. As the therapist, I may invite the client to stay with body sensations while they work to help ground them, keep them present and in process. Self-awareness and communication are enhanced by this process. Once this part or aspect of the self has been made tangible in the sandtray, it can be accepted, experience d, shared, honored, listened to, talked to, experimented with, played with, and learned from.